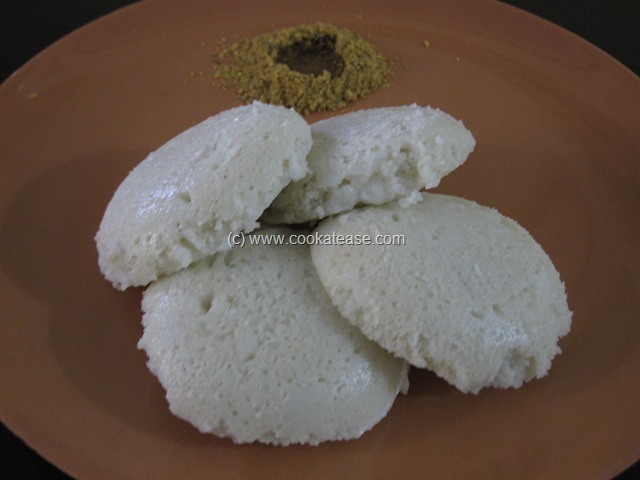 Idli, the healthy south Indian breakfast dish is normally prepared with parboiled rice. During festivals like Ganesh Chaturthi, Varalakshmi Puja etc., it is a tradition to offer idli with other offerings to god. 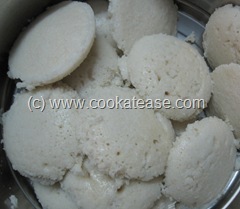 On this occasion idli is prepared with raw rice. This idli is slightly hard as compared to parboiled idlis. To make it softer it is better to add more urad dal (split black gram). Some people add few fenugreek seeds also. Normally I use rice rava to prepare this pacharisi idli (I always keep stock of rice rava to prepare upma and other snacks). Soaked rice also can be used. 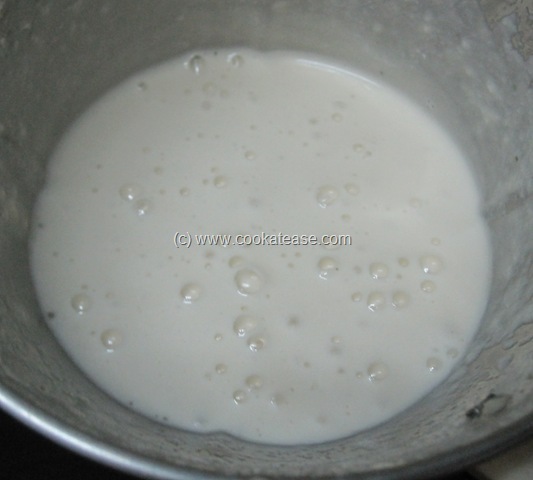 Here is How to Prepare Rice Rava ? 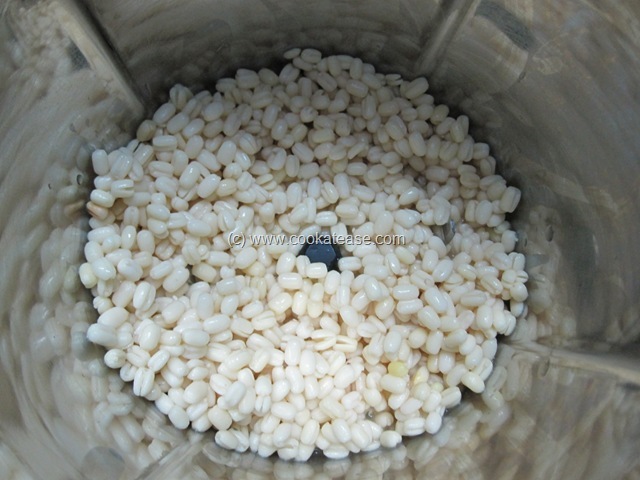 Soak urad dal and rice separately for one hour; if you use rice rava, soak in minimum water (water level can be less than 1 cm above rava surface). 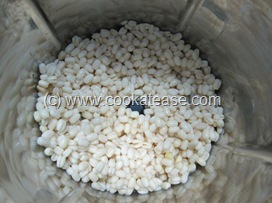 Grind urad dal to a smooth fluffy paste and remove. If you have soaked rice, grind to a coarse consistency like rava; mix with urad dal paste and salt. 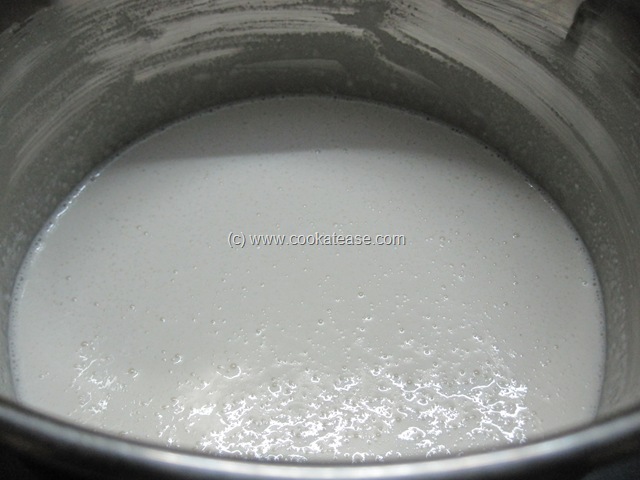 If you use rice rava, straightway mix soaked rice rava in the end after grinding urad dal; then run the mixer for few seconds; remove, add salt and mix well. In both cases, keep the batter for fermenting; this may take 10 to 12 hours. 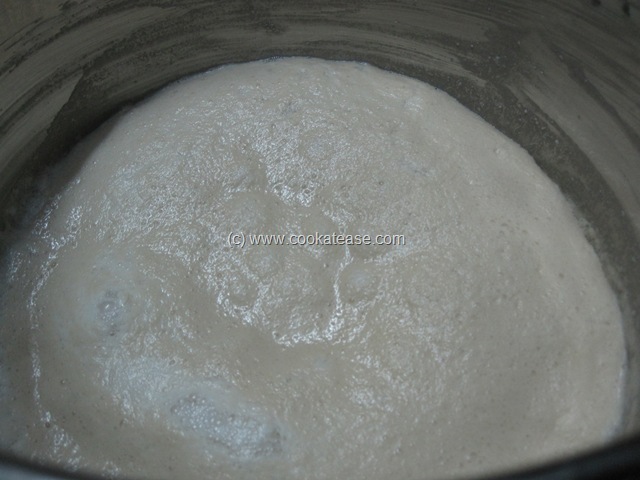 Steam cook idlis, as we do for parboiled idlis. Thanks for sharing, useful post..
very informative photo post.. idlis look delicious!